Rick Shade navigates through the rows of trees, seamlessly disappearing into the branches, rummaging through the leaves, before finally turning around with a look of triumph. "This fruit here it's in the sweet spot," he says holding up a single dark green avocado, the stem still attached. "A tinge of color on the peel." He would know. 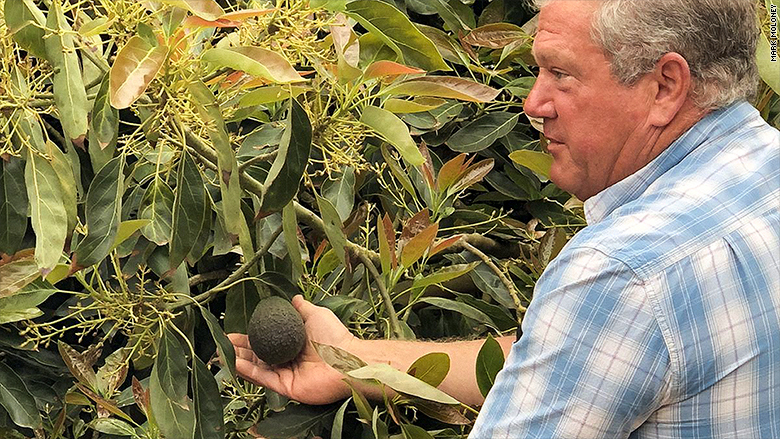 The fifth generation California farmer has been growing citrus and avocados his whole life. "Now this one," Shade, 57, says gently cupping another avocado, "even though it has a little black on the peel, is not going to make the size that's in the sweet spot for us. And it takes someone who has been at it for a long time to tell the difference." Shade will need 50 harvesters for peak season. Right now, he has 25. He's tried to hire more, but a skilled crew is becoming harder to find: The workforce he's relied on is aging and he's having a hard time finding people to replace them. "Many of the harvesters I remember from when I was just a teenager - they're still harvesting," he says. Even though he pays well above minimum wage, he's also lost workers to farms that can afford to pay more. The experienced harvesters at Shade's farm can make up to $400 a day, he says. The rookies start off at minimum wage and then move up to $200 to $300 a day after a few weeks. Finding workers, especially at peak harvesting season, is a problem many of the nation's farmers face. According to the Department of Labor, nearly half of the farm workers in the United States are undocumented immigrants. But decades of inconsistent immigration policies have helped to create a labor shortage -- and recent crackdowns at the border are further depleting the already short supply of workers. Rick Shade in one of the avocado groves on his farm in California. Farmers can participate in the H-2A guest farm worker visa program, which provides temporary visas to workers for up to 10 months, then requires them to return home after the season. But the application system is often difficult to navigate. According to a study by the American Farm Bureau Federation, the H-2A process is so grueling, farmers have had to hire lawyers to help. Of those who made it through, 72% of growers said administrative delays caused workers to arrive weeks after the needed date. Plus, the program is expensive. Farmers must provide workers with housing, transportation to and from their home country and workers' compensation insurance. "The H-2A is a difficult process, especially living in this beautiful spot in Southern California," Shade said, citing the state's high land values and tough regulations regarding housing. "When you bring in an H-2A employee or employees, you have to provide housing that is up to government specifications. If I were to hit the Lotto ... I might be able to purchase an old run down motel and convert it. But that's the order of magnitude we're talking about for labor and it's just not feasible." To lessen their dependence on workers, farmers across the country are scrambling to mechanize. Agricultural technology -- basically using robots to replace workers -- is now a multibillion dollar industry. Investors poured $4.6 billion into food and agriculture technology startups in 2015 alone. 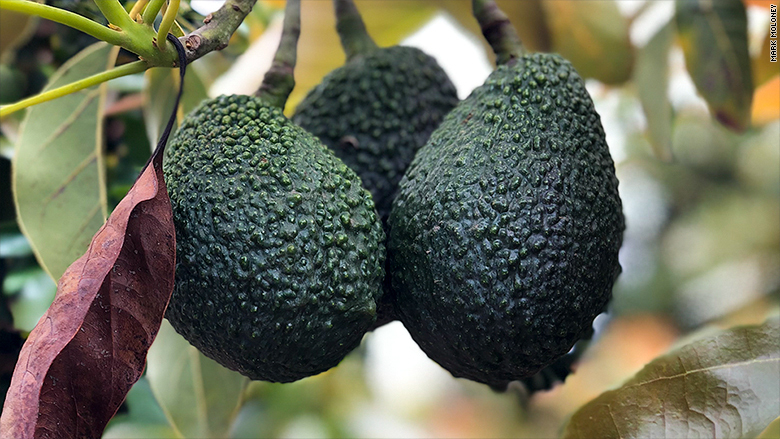 Despite major advancements in technology, some crops, like avocados are too difficult to mechanize and require a specific skill set. 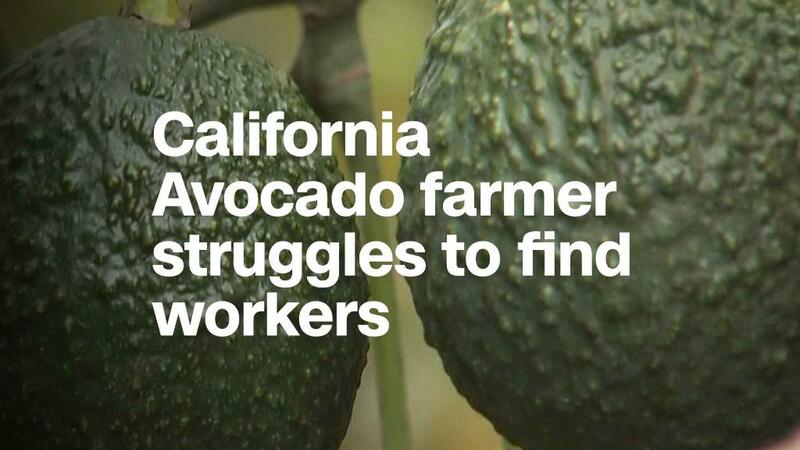 "The crops that are most affected are the ones that use hired labor," explains Daniel Sumner, director of the University of California, Agricultural Issues Center at UC Davis, pointing to avocados, berries and tree fruits. "It's really now through the rest of the summer that we're going to hear more and more farmers and farm workers rushing to get a harvest in with really not enough labor force to do it. And that's a real challenge. It may mean that we have crops rotting in the fields." Back at Shade's farm, he watches a group of workers pick avocados. Equipped with a 20-foot tall poll that has a rucksack on the end, one of the men ascends into the treetops. Using one hand for stability on the teetering ladder, he swings his body out. In one fluid motion he snaps an avocado bunch and puts it into the giant canvas bag slung over his small frame. "Every avocado has to be clipped from the tree by hand," Shade beams. "I don't care which diet you're on - Keto, Paleo, whatever - everybody still eats. We need people that are willing to work hard and sweat in agriculture to get the food to the table."